I wanted to wait for some weather changes before I answered about the ice dams. I've walked around the house several times and it is amazing to see absolutely no ice built up on the edge of my roof, Even on the North side where I had at least 6 inches of ice built up and 2 feet of ice hanging down there is nothing now. There is no ice in the front where the skylites are as there usually was. Paul noticed right away when he came to do the re-audit that the job was done successfully. My furnace is running a lot less than it used to. I may even be able to put up permanent gutters now instead of taking them down every fall. Thanks for taking care of our insulation problem. Thank you and your great crew very much for solving our problems. We wanted to let you know you have some fine young men working for you. They were very hard working, conscientious, and kept us informed about what was going on. Your company is lucky to have them. Wish I had called you sooner. Thanks for taking the time to talk with me today. As I said, it is so much nicer to write to companies about a job well done rather than complain about a poor product or crappy job. 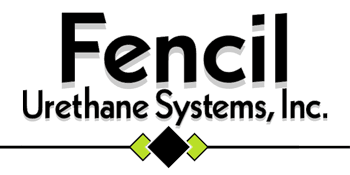 I would recommend to anyone deciding on what type of insulation to use to consider Fencil and specifically the insulation product (closed cell polyurethane foam) used on my house. When we purchased the house from the original owners I was told their largest heating bill for the winter of 2012 was $79. I was somewhat skeptical but the house seemed so well constructed in general that I felt even if there was fudging on the numbers it would still be a great energy story given the 4,000 square feet size of the house. This past (still dragging on as of 3-19) winter of 2014 we have had our highest bill ever - $134, for the month of January. Most months have been about $55. Full disclosure – we did close off 800 square feet of the house! And the house is built into a slight hill which I am sure helps reduce heating costs. But $55! ; the majority of the credit has to go to the insulation job. To say I would consider including this in my house is an understatement; it would be mandatory. Butch and Nick at Fencil Urethane are great to work with. They are prompt with everything from the bid to the work. The final bill always matched the initial bid and the applicators do a top notch job on the foam. Not one complaint in my 15 years of working with them. Hats off to Fencil Urethane Systems, an excellent comapny with a devoted mission for success. I have worked with many sub-contractors, and you don't find many companies that have the quality and commitment like you have. I just wanted to let you folks know the outstanding job your company has done when working with us on the past several commercial projects. It started with our introduction, from your knowledge and leadership, and its continued with professionalism and trust through the entire duration of each project. The crews were prompt, quality driven, and respectful and when the day is done the work areas were clean and ready for the next trade to more in and go to work.